How would you hide a giraffe living in your res from the government? 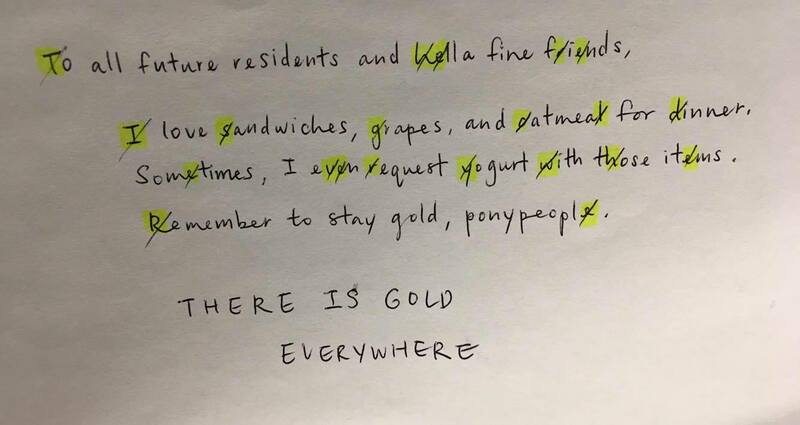 without revealing too much about which residence i live in, my college is named after a person and we’ve been told that he left a crap ton of gold hidden around our residence. he was a wealthy man with a sense of humour, so most people think that the cryptic letter he left behind for future students was just a big practical joke, but personally, i believe that there must be a great deal of gold hidden around the residence because i’ve noticed my skin improving a great deal since living there. 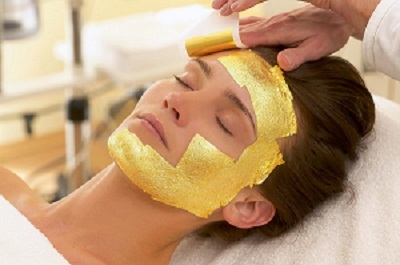 did you know that people get gold facials now? yeah. it’s a thing. *this is my own writing, not his. the original copy is on his own personal letterhead and is typed out and everything. again, you’ll see it if you go to the residence and ask where it is. you may be thrown off by the progressive usage of the word ‘hella’ in his letter, but this man was very ahead of his time. anyways, continuing on, our residence hosts monthly treasure hunts for the residents to find the hidden gold. in fact, a large amount of our incidental fees go towards purchasing metal detectors and equipment for these events. 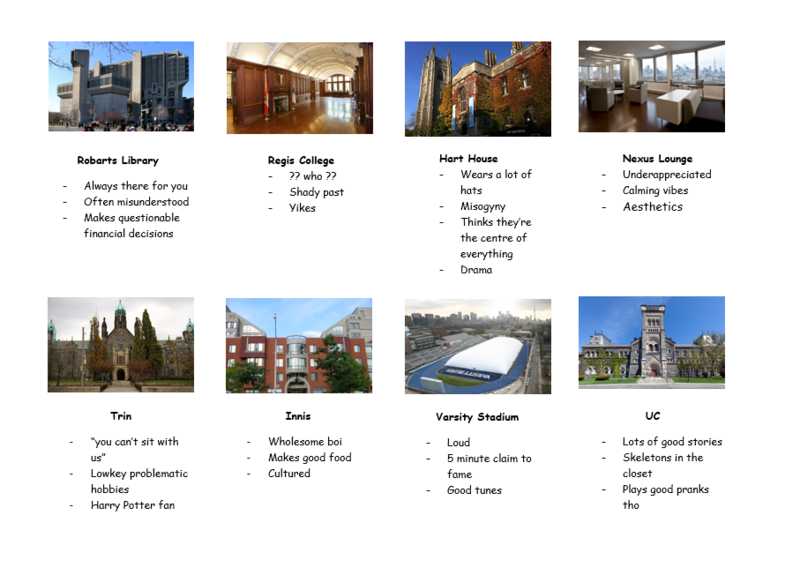 if you happen to be part of this college, you’ll see a certain levy in your invoice. it’s disguised quite well since it’s not blatantly named “treasure hunt levy”, but yeah, the money that the students pay goes directly towards those purchases. these treasure hunts are honestly a great time for the members of our community to bond and get to know each other. i’ve made some of my best friends from working together with them on these treasure hunts. everyone is very interested in paying off their student loans with this gold. we also hire the city’s best gold-diggers (usually young, exceptionally attractive women) to help us in our search. they don’t help much, though. they seem to be very confused as to why we’ve hired them. they keep asking us where we keep the yacht. what yacht, brittany??? i would tell you my theories about where i think it’s hidden, but that would give other people ideas and i kind of want to keep the gold to myself. no one has found any gold yet, so yeah. wherever this gold is hidden, i’d hide the giraffe.